Awesome things to do in Hong Kong in October! It’s a big month for cultural celebrations, starting with Mid-Autumn Festival and ending in Halloween. And there’s plenty of fun things to do in Hong Kong in October in between! Here’s some highlights. The HK Phil will be bringing the music from Steven Spielberg’s movie classic, ET, to life in a concert marking the 35th anniversary of the film. The HK Philharmonic Orchestra will play a live accompaniment to a screening of the original movie. If you love fireworks, add this to your list of things to do. Expect a pyrotechnic extravaganza over Victoria Harbour with a huge fireworks display to mark the 68th birthday of the People’s Republic of China. Get into the spirit of the Mid-Autumn Festival when The Arcade presents Strikes A Merry Autumn Tune. The initiative will allow you to enjoy activities such as creating a musical lantern with your family, performing with a DIY Xylophone ensemble, learning from music by exploring Science, Technology, Engineering and Mathematics, see a street handpan performer, and experience a different kind of artistic feast, with two different virtual reality games based on music and rhythm. Coinciding with the Mid-Autumn Festival is the Fire Dragon Dance, where a 67-metre-long dragon is studded with thousands of burning incense sticks and wends it ways through the backstreets of Tai Hang in Causeway Bay. This year’s parades will be held on 3–6 October in Tai Hang and 4 October in Victoria Park. The event’s origins date back to the people of Tai Hang village miraculously stopping a plague with a fire dragon dance in the 19th century. The tradition is now part of China’s official intangible cultural heritage. A must on this month’s list of things to do. What’s on at chi art space? The K11 Art Foundation (KAF) is presenting The Garden, a group exhibition curated by Enoch Cheng, which replaces flora and fauna found in the natural world with contemporary art pieces to create a multi-sensory ‘art garden’. The Garden features works by nine artists, including new, commissioned pieces by six Hong Kong-based artists. The Mid-Autumn Festival signals the end to a year’s hard work in the fields, culminating in the harvest season. People use this opportunity to express their gratitude to heaven (represented by the moon) and Earth (symbolised by the Earth god) for the blessings they have enjoyed over the past year. Legend has it that on Mid-Autumn Festival night, the moon will be the brightest and fullest. This annual event is marked with lantern festivals around the city, with Victoria Park hosting a huge event, with singing, dancing, acrobats and lantern displays. Add this now to your list of things to do! Oktoberfest returns to Happy Valley Racecourse for the city’s biggest Oktoberfest party! Head down to Happy Wednesday Oktoberfest for German food, folks and fun in the finest tradition of celebrating great Bavarian beer. The four-week party starts on Thursday, 5 October and continues on the next three consecutive Wednesdays, 11, 18 and 25 October. Scotland’s biggest comedy act, Kevin Bridges, is bringing his globally successful tour to Hong Kong. Dubbed ‘brilliant’ by Billy Connolly, Kevin has taken his style of observational, cutting edge comedy all over the globe. One of the things to do this month for comedy fans. This festival kicks off with a free concert on 30 September in Olympic Square in Hong Kong Park and then features a series of ticketed events with renowned jazz musicians from around the world. Presented by the Hong Kong Jazz Association, the festival is now one of the key jazz events in the region each year. Five of the world’s top thirteen female players, including Caroline Wozniacki and Venus Williams, will play at the Hong Kong Tennis Open. The WTA International Series event will take place at Victoria Park Tennis Stadium. Players will compete for a US$500,000 prize purse. A range of fan and community events will also be on offer. Perfect if you are looking for family-friendly things to do. The third edition of the Hong Kong Cyclothon is back. A mix of amateur and professional races and rides, some of the world’s top international cyclists will come to Hong Kong for the event. Registration is closed but you can cheer on the cyclists for this popular event. Vantage points for the CEO Charity & Celebrity Ride, Team Time Trial, Men’s Open Race, Women’s Open Race and Sun Hung Kai Properties Hong Kong Challenge are on either side of Salisbury Road near Tsim Sha Tsui promenade and along Mody Road near UC Centenary Garden in Tsim Sha Tsui East. Where: To watch the start and finish of the 50km Ride and the 30km Ride, head to either side of Salisbury Road near Tsim Sha Tsui promenade and 1881 Heritage. Adopting an animal not only saves a life, but also provides immense joy to those who adopt. My Furry Kids at Home Photo Exhibition features 50 heartfelt cat adoption stories along with family photographs. Exhibiting stories come from all backgrounds including, cats that have been rescued by inspectors; elderly cats requiring special care; and “Fan Shu” and “Siu Pak”, the two cats of local music group Rubber Band’s member “Lai Man”. New and expectant mothers are welcome to this session, conducted by Yvonne Heavyside, an experienced health visitor and lactation consultant. The free event will cover advice on how to successfully breastfeed your baby and the importance of getting off to a good start. There will be a question and answer session at the conclusion of the talk. There will also be advice on ways to get off to a good start by immediate skin to skin contact and frequent undisturbed feeding. Opera Hong Kong will be staging performances of Verdi’s most famous opera, Aida, at the Cultural Centre, as a co-production with the Shanghai Opera House. A poignantly evocative story of a love triangle during the times of war between Egypt and Ethiopia, Aïda features the most intricate and memorable music that Verdi ever wrote. The timeless story of the conflicting duties of love and patriotism will feature a star-studded international cast, which includes two of the opera world’s reigning Aidas. Stamford American School invites you to meet Stamford’s Superintendent Malcolm Kay at the school’s Open House to discover how Stamford leads every child to achieve more than they believe they can. Malcolm will share how Stamford’s unique combination of a standards-based curriculum, individualised learning plans and a unique STEMinn (Science, Technology, Engineering, Math & Innovation) Program from age five offers children a passport to success at leading universities worldwide. Flamenco’s “Golden Couple” will be in Hong Kong for the phenomenal Roots of Flamenco performance. Dancer Sonia Olla and singer Ismael Fernandez will perform on 11 October in Gypsy Jazz Flamenco and in Tablao Sevilla Flamenco on 12 October. Sonia and Ismael worked with pop-icon Madonna for her 2015-2016 Rebel Heart tour. Sonia choreographed while samples of Ismael’s voice are featured in La Isla Bonita. The 9th Barclay’s Moontrekker sees runners tackle an overnight race on Lantau Island. There are two courses – the Moonlit 30km and the Sunrise 43km. Both races begin on Friday night in Mui Wo, on Lantau Island. Both routes finish at Pui O Beach. The Sunrise 43 starts at 8.30pm and the Moonlit 30 at 11pm. The finish-line takes participants down to Pui O beach. Hong Kong’s leading night hiking/running event raises money for charity. Show your support by making a donation. Looking for family-friendly things to do? Why not check out the Eternal Life – Exploring Ancient Egypt exhibition at the Hong Kong Science Museum. The exhibition presents insights into Ancient Egypt, one of the oldest civilisations in the world. The highlight of this exhibition are six Egyptian mummies between 3,000 and 1,800 years old. Along with the mummy displays and around 200 invaluable objects, digital interpretation of the mummies demonstrates how non-invasive computerised tomography has allowed research Ancient Egypt. A good one if you are looking for family things to do. When: Monday to Wednesday and Friday from 10am–7pm and Saturday, Sunday and public holidays from 10am–9pm. It is closed on Thursdays. The box office opens at 10am and closes one hour before the museum closes. Until 18 October. The Chinese Documentary Festival is back for its 10th edition with a compelling lineup of film screenings and public events. The programmes include Competition (Shorts and Features), Hong Kong Selection, Selection of New Taipei City Documentary Awards Selection, International Selection, and Retrospective of films from the previous Festivals. Join Little and Big Nutbrown Hare, from the best-selling Guess How Much I Love You and I Love You All Year Round collection, as they leap off the page and onto the stage in this magical journey through the seasons. This ABA Productions show is directed by Anna Fox, with music composed by Harry Sever and movement by Lucie Pankhurst. Explore this playful story of love and nature as it unfolds on stage through puppets, live music and interactive play for children aged 2 and up. The running time is about 55 minutes with no interval. If you’re a new parent, expecting, or even just planning a family, don’t miss this year’s Maternity + Baby event – the third annual event of its kind – which promises to be a one-stop shop for all the information and products you need. Presented by Healthy Matters, it will feature maternity experts addressing key topics of interest for expectant parents, along with exhibitors showcasing an array of relevant goods and services. Add the The Hong Kong International School (HKIS) Annual Pumpkin Festival to your list of family fun things to do. The Pumpkin Festival is fun for the entire family offering seasonal activities including a Pumpkin Patch (choose and take home your very own pumpkin), a bouncy castle and slide, games with prizes, a talent show, a used-book fair, Boo-tique shopping, food, and so much more! Admission is free for this event and complimentary bus transportation is provided to and from the event (note that there is no parking on site at the event). Get your walking shoes ready and join the OneSky Charity Hike. The hike raises funds for vulnerable children and enables OneSky to train caregivers to provide care for children across China. There are trails available for all levels and ages so it’s easy to get involved, whether you are a beginner or advanced hiker. The Harbour School invites prospective families to learn more about their preparatory (Pre-K and K) school program. Families will be able to explore the campus’s inspiring learning spaces and meet with the school’s faculty including Head of School Dr Jadis Blurton and Principal Christine Greenberg. The family-friendly event will be held at the school’s early childhood centre and newly renovated campus in Kennedy Town, called the Harbour Village. Dr Eeqbal Hassim, an education consultant with an interest in intercultural teaching and learning and education in transcultural contexts, will be conducting an Internationalism workshop for teaching professionals at Discovery Bay International School. Dr Hassim will lead an examination of key internationalism concepts in relation to addressing the needs of students in transient international school communities. The workshop will involve a group discussion of strategies and action plans to enable us to better prepare students as global citizens for the future. The three-hour course will cost HK$350 to attend and includes snacks, tea and coffee. 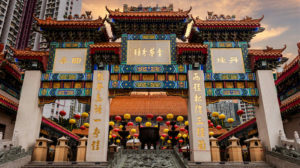 The Hong Kong Culture Festival aims to promote awareness of the city’s cultural heritage. It will see an array of events and performances to raise public interest and encourage participation in traditional culture, particularly among young people. As an integrated platform for collaboration across different cultural fields, the Hong Kong Culture Festival also aims to nurture creative talents and inject innovation into traditional culture. This excellent festival should be on your list of things to do this month.